Whether you work or study away from home or starting your own family, apartments are available for you to stay and live in. Buying your own house or apartment may just be too expensive, especially if your budget can only afford so much. An apartment rental is just the solution to this problem, which allows professionals, students and a families to be able to afford a place they can call home. When renting an apartment, you will be presented with a rental agreement that sates all of the terms and conditions that the landlord or owner has created in order for you to use and stay in the property. 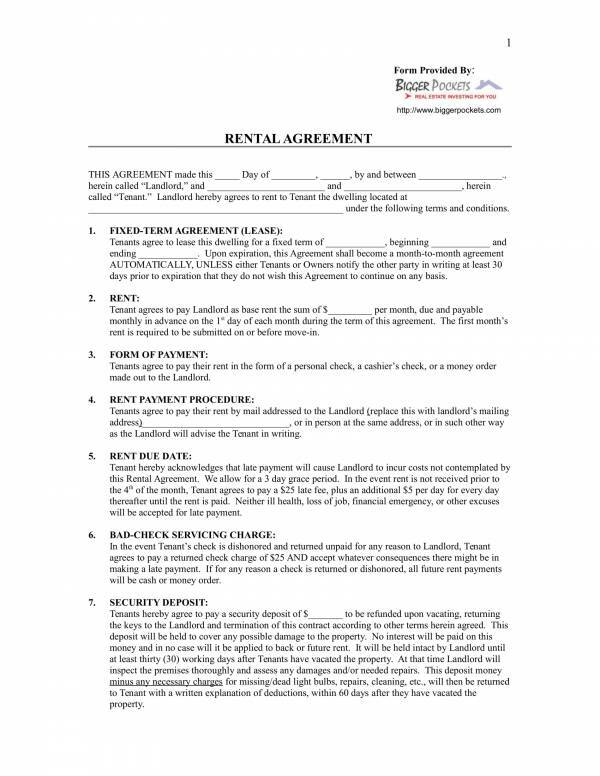 Agreements are important legal documents that is required when rental businesses. 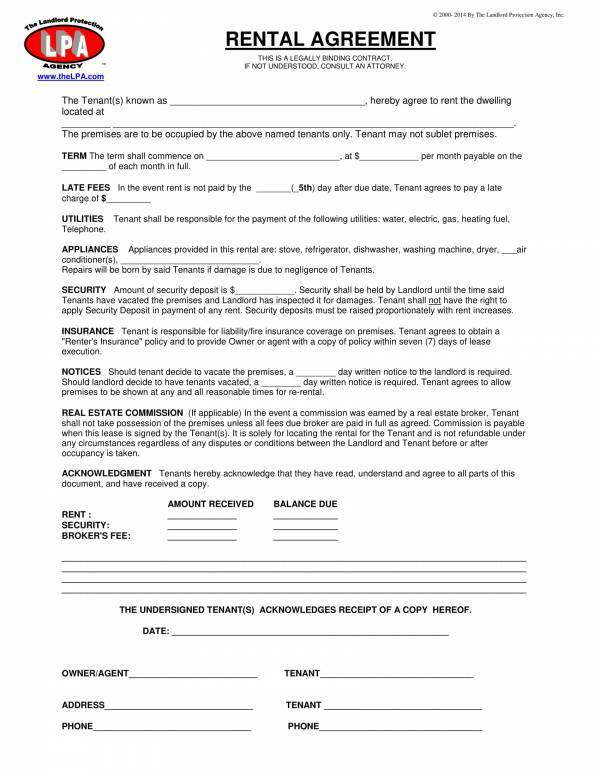 Here we have apartment rental agreement templates that you may use whenever you need them. 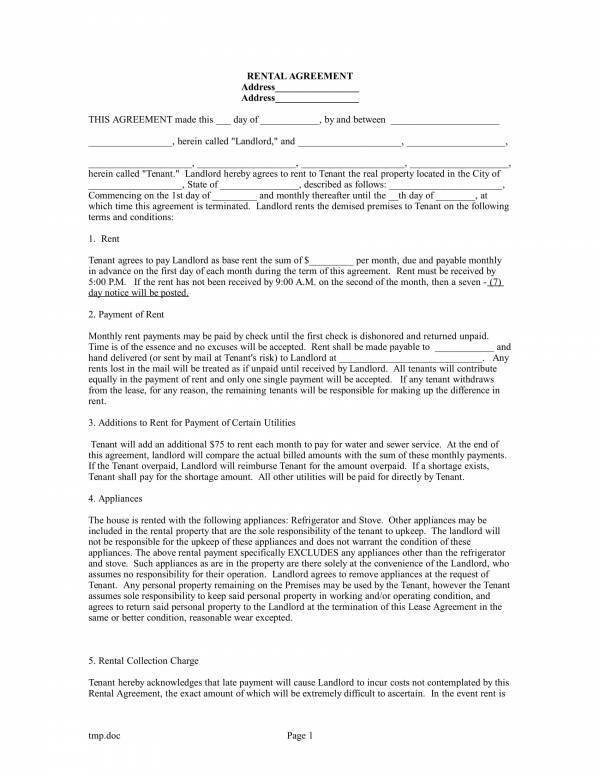 What Is an Apartment Rental Agreement? 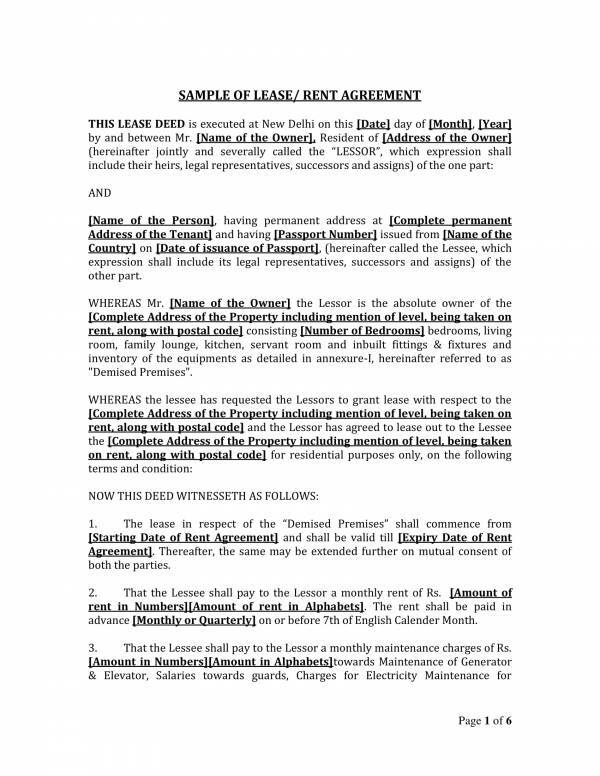 An apartment rental agreement is an agreement between a landlord and a tenant that allows the tenant to use and stay in the apartment property of the landlord or owner based on the terms and conditions that they have agreed on. Of course, if you rent a place, even if it is not an apartment, you are obliged to make a payment for it. With that being said, the agreement also includes payment arrangements that has been discussed by both parties. Other information included in an apartment rental agreement are, the names of both the landlord and the tenant, the address or location of the property, the specific terms and conditions that should be applied, house rules, and the duties and responsibilities of both parties. It is important for any rental business to prepare and provide rental agreements every time they do conduct business transactions. For both parties, the agreement is a proof that the other party will commit and is committed to doing their part in the bargain so that what has been verbally agreed will not become empty promises. Check out more agreement related articles on our website, like Sample Room Rental Agreement Templates, Generic Rental Agreement Samples, and Equipment Rental Agreement Samples. Agreements nowadays can now be easily accessed and created because of the availability of online templates. 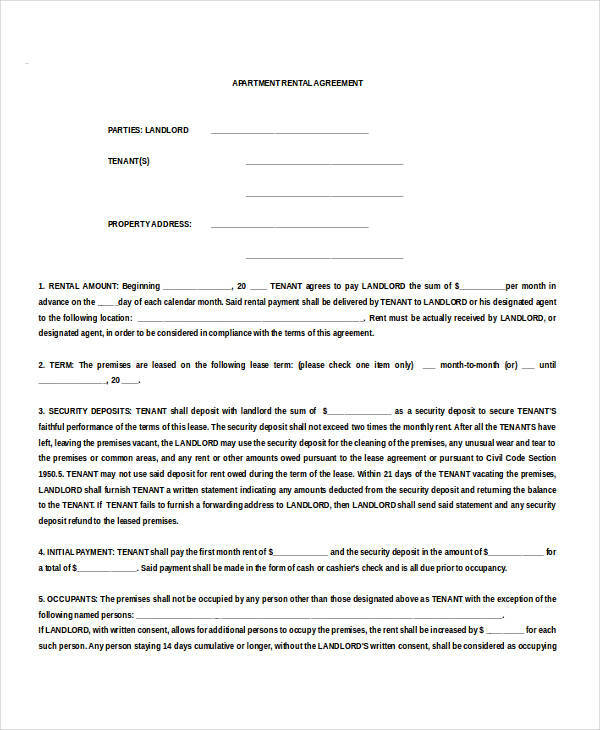 Apartment rental agreement templates are just one of those templates that you can easily and conveniently find online. 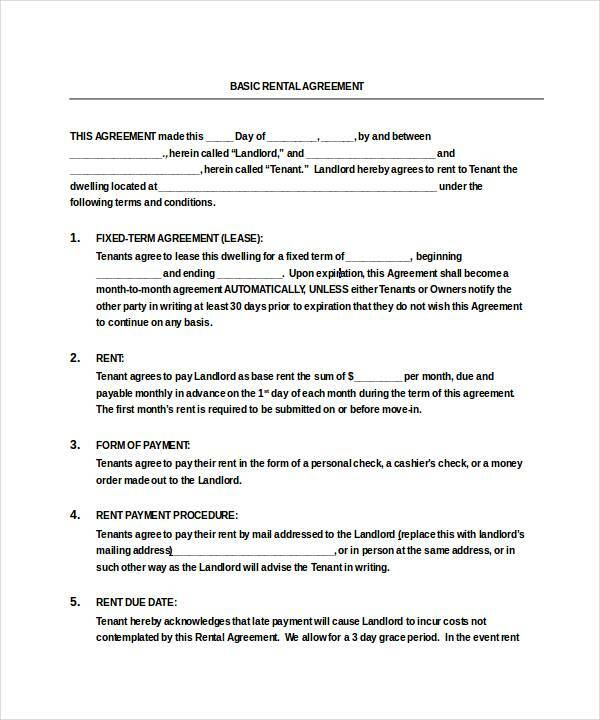 Here are some of the uses that you can take advantage of in an apartment rental agreement template. 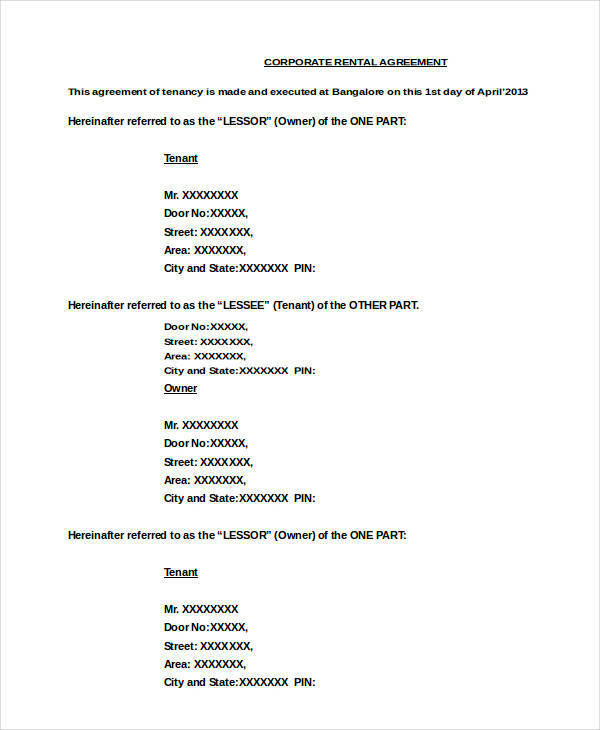 Proof of transaction – The use of an agreement in confirming an apartment rental transaction is that it serves as proof that the transaction took place, and that both landlord and tenant has given their acknowledgement and consent to it. 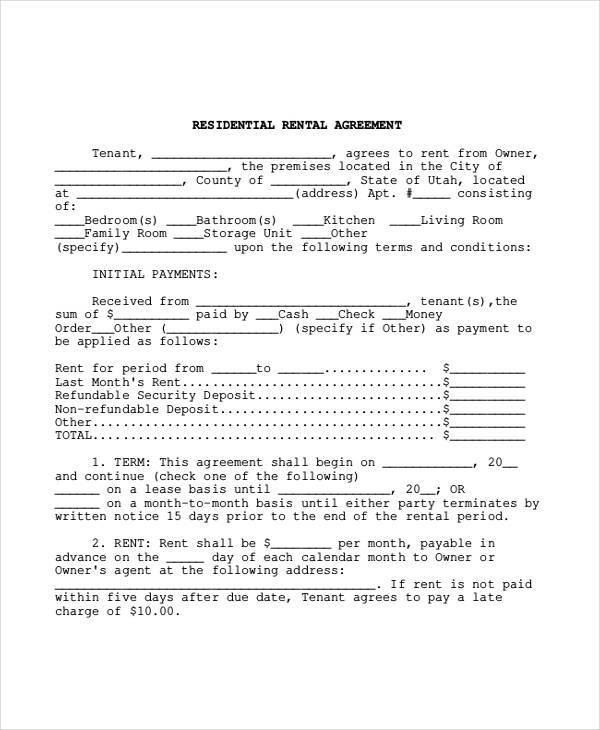 Documentation purposes – A rental agreement is used to document the transaction that took place between the landlord and the tenant. The documentation here refers to the documentation of the things or topic that has been discussed by both parties, which is then put to writing in the form of an agreement. State terms and conditions – One of the highlights of the uses of an agreement is that it provides a detailed and complete list of the necessary terms and conditions that covers the entire agreement. These terms and conditions make up a large part of the agreement covers details about what both parties must and must not do during and after the agreement expires. Bind parties – Another notable use of an apartment rental agreement is that it binds the landlord and the tenant to the agreement and all of its contents. This means they are both obliged to do what the agreement says they must do and not deprive any party of their rights as stated in the agreement. State responsibilities of both parties – All the parties involved in an agreement need to do their share of responsibilities to make it happen. These responsibilities are all stated in the apartment rental agreement document. 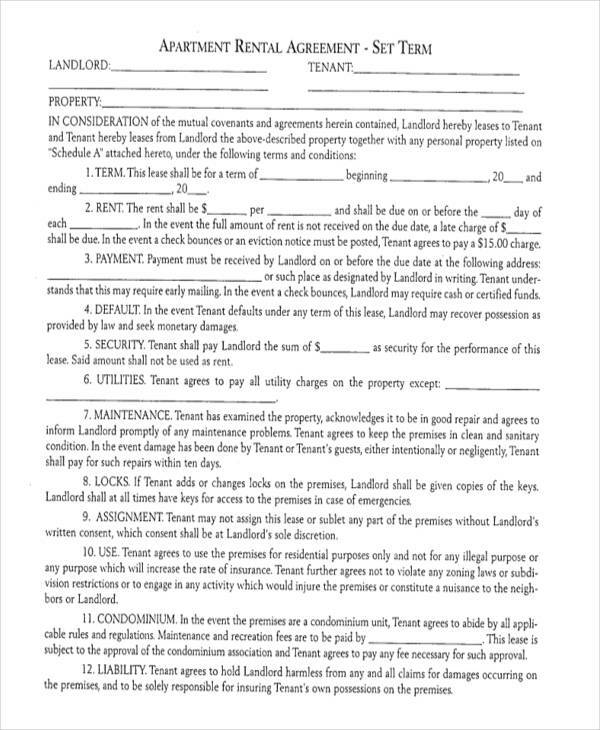 This is done to make it clear for both the landlord and the tenant what their part is in the agreement. 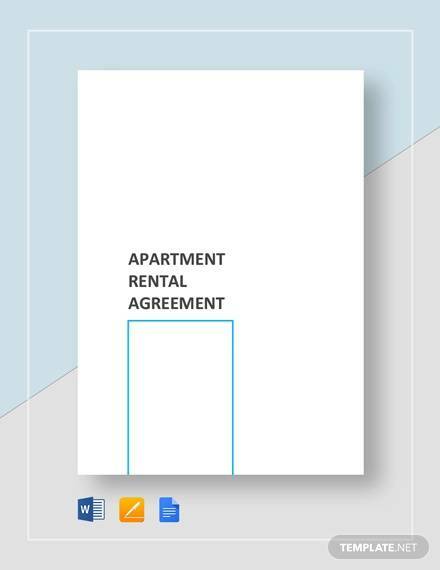 Provide benefits and limitations – Like any other business, apartment rentals also offer benefits to its tenants which should be stated in the rental agreement and not just on the for rent posters. Aside from the benefits, the limitations of the occupation and use of the rental apartment is also provided. Complete and reliable information – There is no other template as complete and as reliable as a rental agreements for apartment rentals. You surely count on it. Now, don’t you just find an apartment rental template useful? 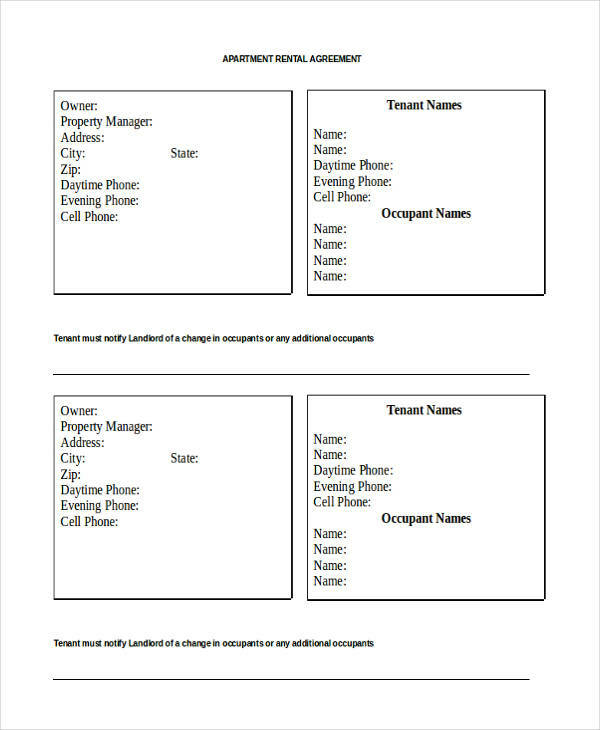 There are so many things that can be done with it that is why a lot of rental businesses turn to using this template. 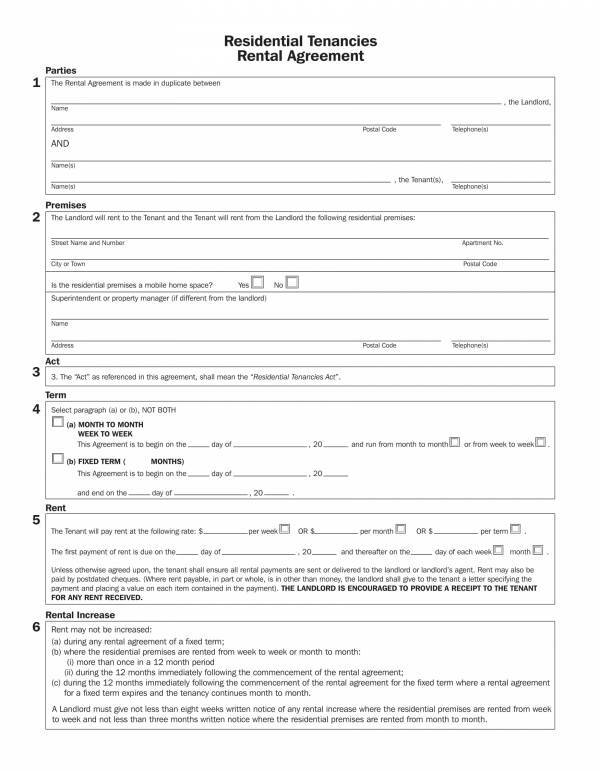 And if you need rental agreement templates and other related templates, you may find them on our website. Some examples we offer are HR Agreements Samples & Templates, Sample Short-Term Rental Agreements, and Investment Agreements Samples & Templates. We have been using rent and lease interchangeably for so long now that other people start to think they really mean the same thing, especially those who plainly have no idea what they are. Rental and lease are words both used to refer to the use and occupation of a certain property with consent from the owner and with a corresponding amount of payment. The types of properties that can be leased are mostly similar to the properties that can be rented. Those are pretty much their similarity, but a rent should not be confused with a lease. Let us further learn about each of them so that we can distinguish one from the other. Rentals refer to short term use of a property that is usually arranged on a monthly basis. The tenant pays the landlord monthly rental fees for using and occupying the rental property. Stays in rental properties can be as short as a couple of days and as long as a month or two. Rental agreements are renewable every month unless the landlord or tenant notifies each other about their plan to end or terminate the agreement at the end of the current month or the next month. And because rentals are mostly on a monthly basis, the terms and conditions or changes to the rental agreement an be changed by the landlord every month. For example, the rental price for the current month may change by the next month due to a sudden inflation rate. If the tenant disagrees with it then they will need t find another place to rent. If they agree, their rental agreement will renew, provided that the landlord has not found another tenant for the said property. Enough notice is provided by both parties in case of of any changes. Leased agreements on the other hand refer to long term use and occupation of a property. A lease often lasts for a minimum of three months up to a year, depending on the lease agreement. The good thing about having a property on lease is that the landlord or owner can have a continuous or constant flow of income for the duration of time that their property is on lease, regardless if the tenant uses it or not. But unlike a rental agreement, lease agreements do not renew automatically and the tenant must notify the landlord if they wish to renew it or not, and vice versa. Also, no changes can be made to the agreement until such time that the agreement expires. Only at the end of the agreement can the landlord apply changes to it, like price increase, but the tenant does not necessarily have to be the one who leased the property before. The best and easiest way to differentiate a rental agreement from that of a lease agreement is by determining the arrangement on how long tenants are to stay and use the property. Rental agreements are for short or monthly stays and lease agreements are for long stays from 3 months up to a year. That way you won’t be so confused about it, and so that you will know if you prefer renting or leasing a property. Check out other agreements we offer on our website, like Printable Lease Agreements, Sample Commercial Loan Agreement Templates, and Exchange Agreements. There are countless of reasons why agreements are important and a lot of these reasons are realized when you are actually already in trouble. Knowing the importance of an agreement can keep you out of trouble if you remember them. Here are some of the reasons why an agreement is important. Legally binding – Once you sign that agreement and it has been notarized, you and the other party or parties are bond to it legally. This means that you must follow the terms and conditions that were discussed and stated in it to avoid getting into legal troubles. And because it is something legal, it is enforceable in the court of law. This means that you can go to court for committing any violations. Court evidence – Agreements are very effective evidence if presented in court, especially if the case is about or related to the agreements. It serves as strong and reliable court evidence. Avoid expensive litigation proceedings – Although an agreement is legally binding and you can go to court with it, remedies for a breach or violation can be added to it. It is so that if such situation arises, they can handle it first through the stated remedies before actually deciding to go to court and pay for expensive litigation proceeding. Obligates all parties involved – When you are already part of an agreement, it is your obligation to do things that are according to the agreement and actions that help fulfill the agreement. You also have certain responsibilities that you need to take care of. Details – An agreement documents every detail of any transaction, regardless if it is for personal purposes or for business purposes. Every term and condition is thoroughly explained and every all the information related to the transaction is provided. Assurance – There is assurance that both parties will perform their share of responsibilities in an agreement as they are bound to it and they may be brought to court for failing to do their part. Confidentiality – With a confidentiality clause present in an agreement, you can rest assured that all your trade secrets and the details of your transaction will not be exposed or leaked to outsiders. There are just somethings you want to keep as confidential as possible and that is made possible by an agreement. Prevents misunderstanding or disputes – Because all the things that you have discussed and agreed on are recorded and documented in an agreement. You can refer to the agreement if there are any misunderstandings and disputes. Now that you know the importance of agreements, the next time you try to get into certain transaction you know that you should have an agreement in place, specifically a written agreement. If you would like to check out on other agreement related articles with downloadable samples and templates, you know that you can find them on our website. Some of the titles that you may find interesting are Service Agreement Templates and Samples, Sample Agreements for Labour Contract, and Transfer Agreements.